There’s a new genre of music that has been slowly gaining in popularity for the past several years, a genre known as “Yacht Rock.” Alright, technically, that last sentence contains two mistakes: it’s not really a genre, it’s a sub-genre, and it’s not really new, because the term “Yacht Rock” was coined over a decade ago. But it is gaining in popularity, so much so that SiriusXM has a Yacht Rock station dedicated to this music on their basic, non-premium subscription plan during the summer months. There are Yacht Rock cover bands. Local radio stations, such as MeTV FM out of Chicago, run weekly Yacht Rock programs. Yacht Rock artists like Christopher Cross and Michael McDonald are back in vogue and touring again. Where did this whole craze start? The term “Yacht Rock” was coined in 2005 when writers-producers J.D. Ryznar and Hunter Stair released a 12-episode web series (titled, appropriately enough, Yacht Rock) about the adventures, conflicts, competitions, successes, and failures of artists and groups such as Cross, McDonald, Kenny Loggins, Steely Dan, Toto, Hall & Oates, etc. The comedy series loosely outlined the shape of this sub-genre: smooth music from the period 1976 to 1984, typically coming out of the California music scene, featuring highly polished musicianship and complex compositions, often drawing from the same pool of producers, engineers, studio musicians, backup vocalists, and composers. So where do The Beatles fit into all of this? Oh, here, there, and everywhere, to be honest. Let’s start with Ambrosia, with songs like “Biggest Part of Me,” “You’re the Only Woman,” and “How Much I Feel,” that regularly turn up on Yacht Rock playlists. Ambrosia worked with producer-engineer Alan Parsons, who in turn worked on both the Let It Be and Abbey Road albums. He also worked with Paul McCartney on both Wild Life and Red Rose Speedway. But did any of the individual Beatles ever create any authentic Yacht Rock in their solo careers? If the Yacht Rock period runs from roughly from 1976 to 1984, then Lennon’s Walls and Bridges album sits just outside the range, but close enough for consideration. Recorded in New York City, it was written during Lennon’s “lost weekend” in Los Angeles and included musicians like Jim Keltner (an authentic Yacht Rock studio musician in his own right), so it retains some kind of connection to the Yacht scene. Musically, it has that slow, swirling rhythm, and uses chromatically descending minor-seventh chords that certainly help put it at least on the dock, if not entirely on the boat. This tune from McCartney’s 1983 Pipes of Peace album (later included again on 1984’s Give My Regards to Broad Street) sits in the right musical period to qualify as Yacht Rock, and it definitely has some interesting chord changes based around the use of a major-seventh, but it suffers in other areas. We’ll have to play some kind of “Six Degrees of Separation” game with the personnel to make it work: Pipes of Peace features collaboration with Michael Jackson, who has several authentic Yacht Rock songs in his catalog (“Human Nature,” “The Girl Is Mine,” etc. ); this song also included guitar work by 10cc’s Eric Stewart, and 10cc’s “Don’t Turn Me Away” has one foot on the dock, one in the boat. Close enough. I know, it’s not actually Ringo’s song, someone else wrote it. But it fits the time frame (Ringo the 4th came out in 1977), parts of the album were recorded in Los Angeles, and Ringo worked with Yacht Rock regulars David Spinozza, John Tropea, Jeff Mironov, Danny Kortchmar, and David Foster (among others) on this album. 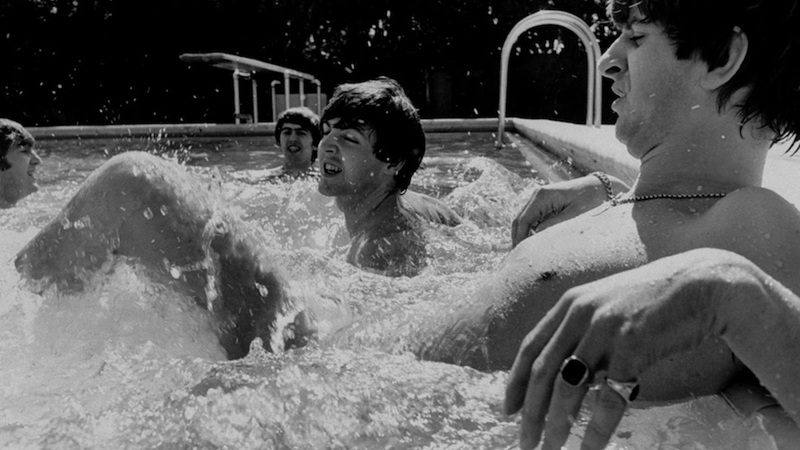 In fact, when it comes to personnel, Ringo might be the most Yacht-y of all the Beatles. Having guys like Steve Lukather and Christopher Cross on stage as part of your All-Star Band will win you that distinction. Tucked away on Harrison’s 1976 album Thirty-Three & 1/3 is this little Yacht-adjacent gem. 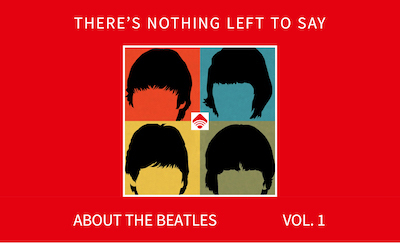 So far, this is the only solo Beatles song to appear on the Beyond Yacht Rock podcast and receive an official rating from Ryznar and company. It missed the boat by a half-point, so I’m not going to feel the least bit bad about giving it a little nudge and taking it with me out on the water. It’s got Willie Weeks on bass, as well as David Foster and Richard Tee doing some fantastic electric piano work. It’s got the complex-yet-smooth chord progressions, and it’s easy to float away on this tribute from Harrison to one of his (and the other Beatles’) musical heroes, Smokey Robinson. The holidays and subsequent long, cold lonely winter are right around the corner, but do yourself a favor: fire up one of these four solo Beatles tunes, and think of warmer days ahead. Jacob Michael is a musician, composer, freelance writer, designer, and certified Beatles fanatic who will happily sit down with you and talk about the tonal "colors" inherent in second-position voicings of sharp-nine guitar chords as opposed to ... wait, come back, we can talk about bourbon instead!